Explanation: How do dying stars eject their outer layers? Stars that create elegant planetary nebulas like Henize 3-401, pictured above, are not unusual, causing speculation that, one day, our own Sun may look like this. 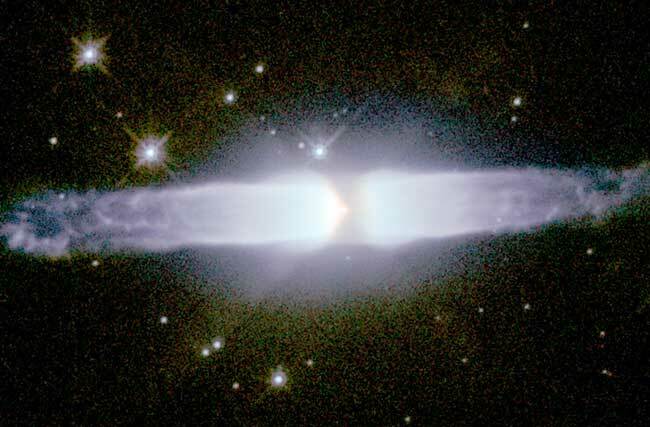 Henize 3-401 is one of the most elongated planetary nebulas yet discovered, a particularly odd feat for a seemingly round star. 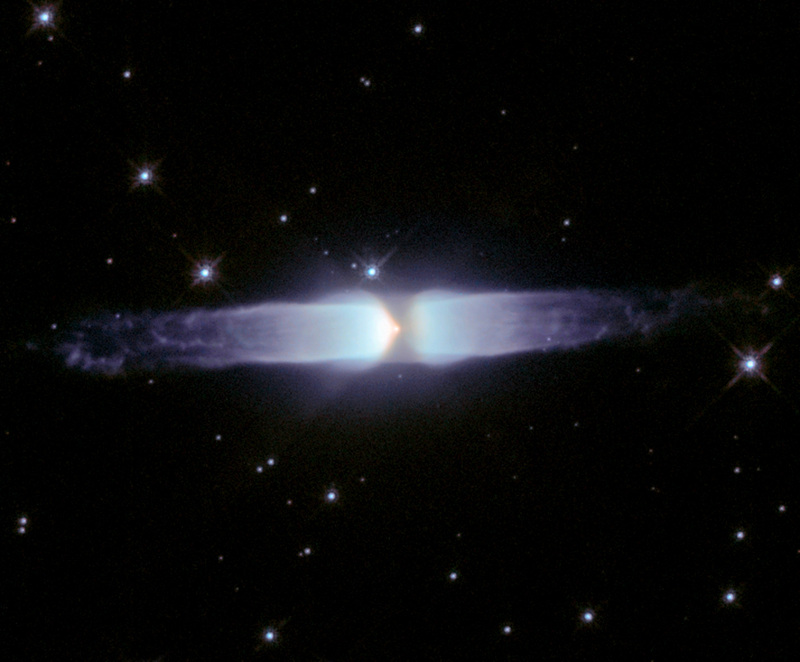 Perhaps, some astronomers hypothesize, the elongated shape gives a clue to the expulsion mechanism. Genesis hypotheses include that the outer layers of gas are funneled out by the star's own magnetic field, and that a second unseen star is somehow involved. After the gas disperses in a few thousand years, only a white dwarf star will remain. Henize 3-401 lies about 10,000 light years away toward the constellation of Carina.